The robust waterproof surface probe (with a corresponding measuring instrument) enables particularly accurate measurement of the surface temperature. The robust, waterproof surface probe (Pt100) can be used to accurately determine the temperature on surfaces. The probe has a wide measuring tip, making it particularly practical for surface measurement. Thanks to its high precision, the probe is suitable for use in laboratories. 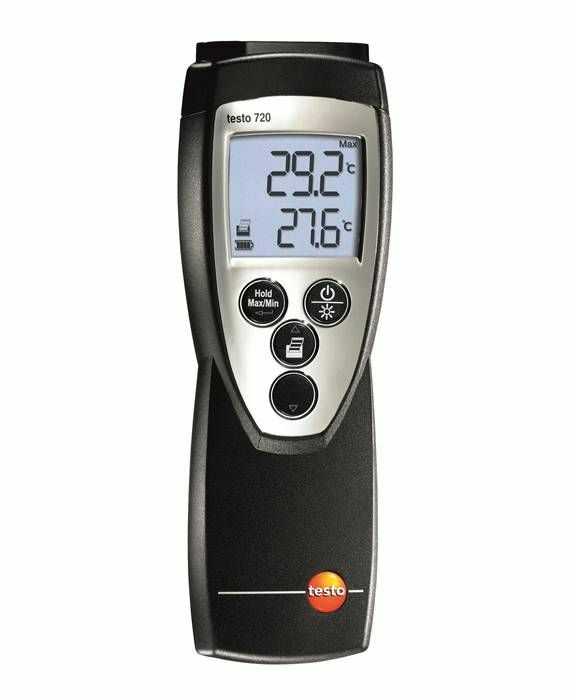 In conjunction with a corresponding measuring instrument (e.g. 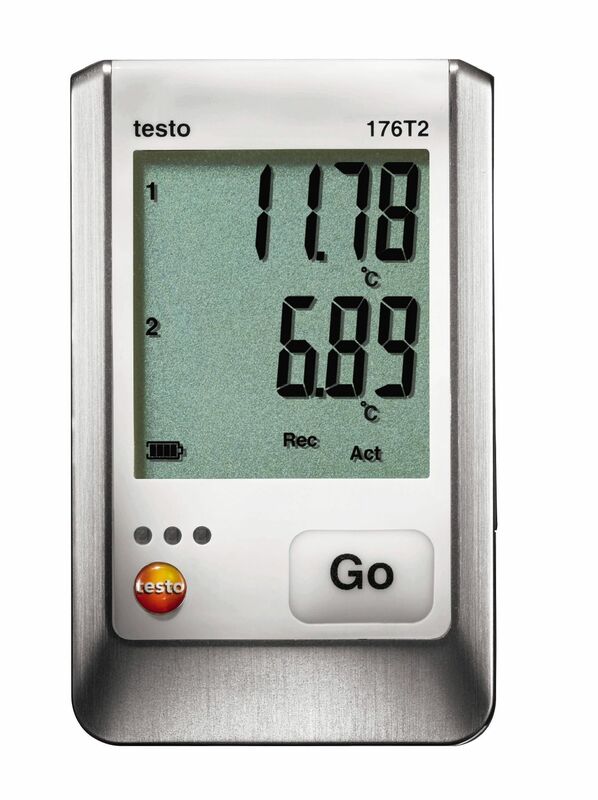 testo 735), it is also compliant with EN 13485 and HACCP. 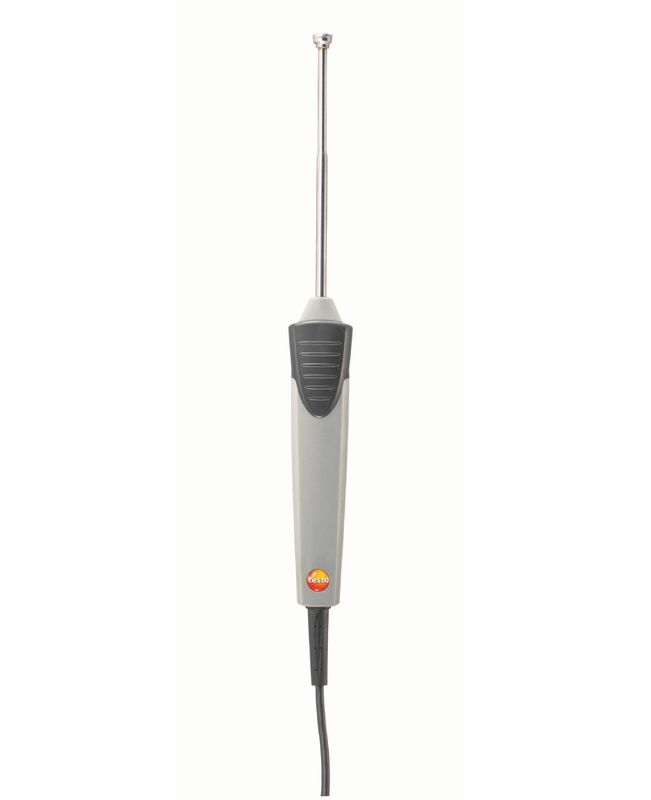 The probe is therefore also ideal for applications in the food sector. Robust waterproof surface probe (Pt100) with fixed cable.